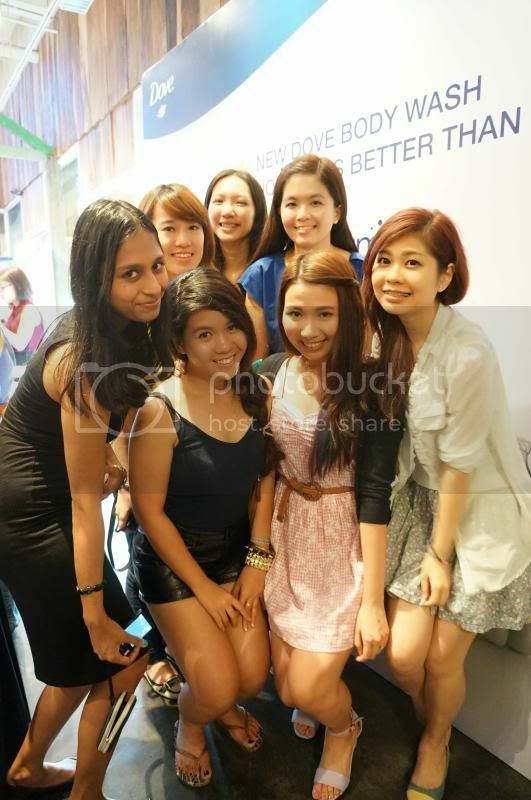 Two weeks ago, I was cordially invited by The Butterfly Project Malaysia to attend this Dove Skindulgence, Your Better-Than-Milk Routine at The Apartment, The Curve. 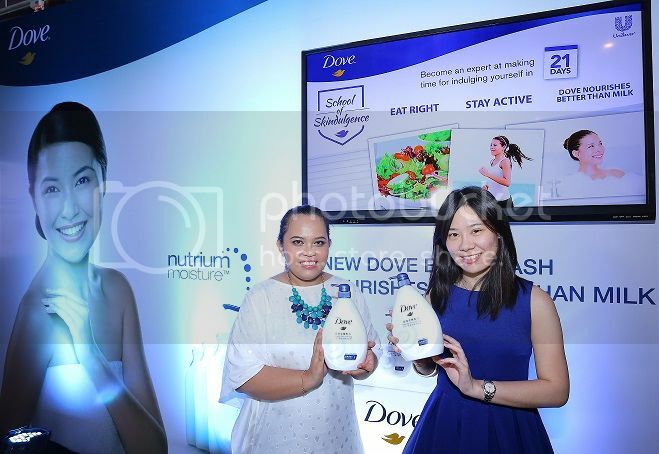 Dove® Body Wash with NutriumMoisture™ launched the Dove Skindulgence campaign as a solution to encourage women to indulge and pamper themselves on a daily basis in less time and with less money and all in the comfort of their own home. 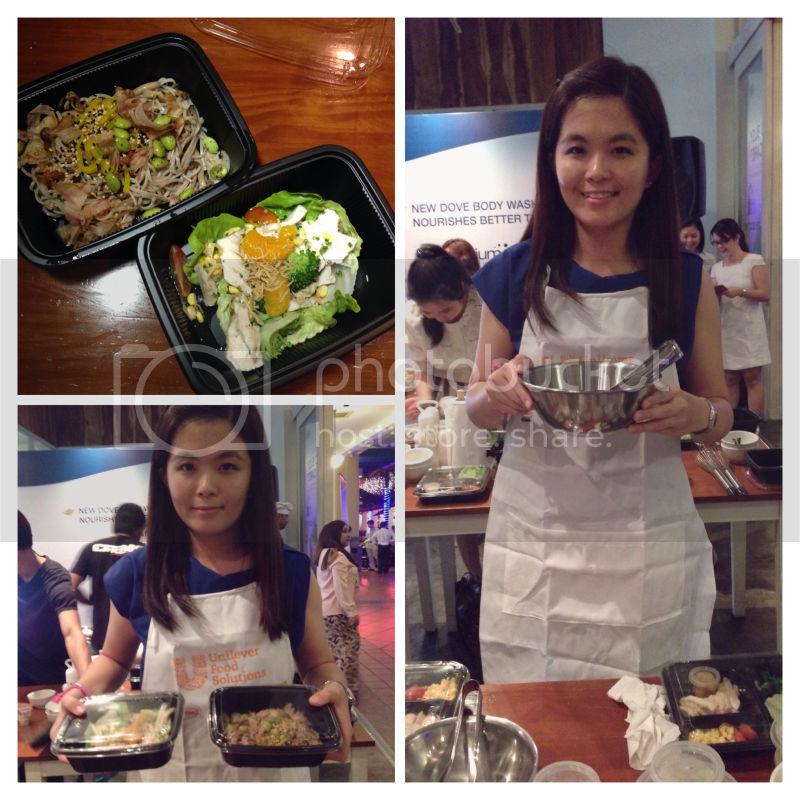 The bloggers were divided into three groups which are Kitchen, Bathroom and Garden. 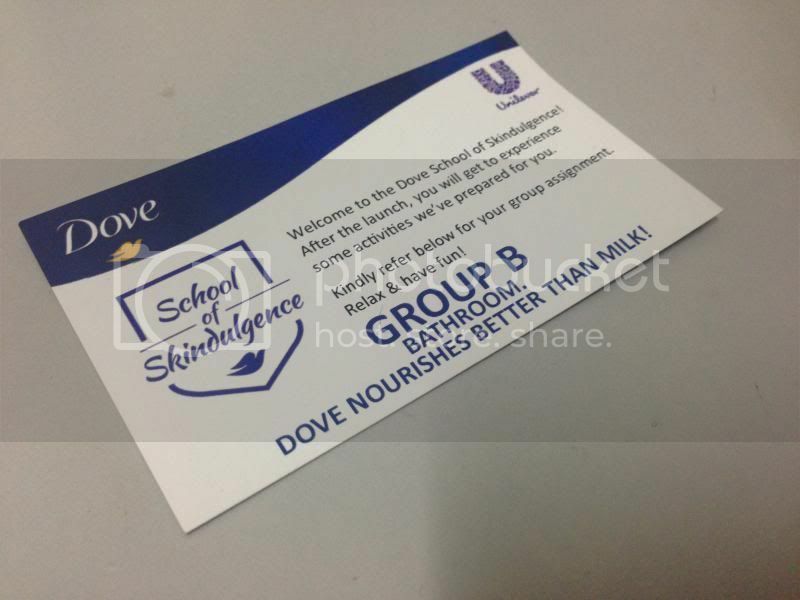 In Group B which is Bathroom, we were told to apply milk and Dove® Body Wash with NutriumMoisture™ on our arms to test the moisture of the skin. 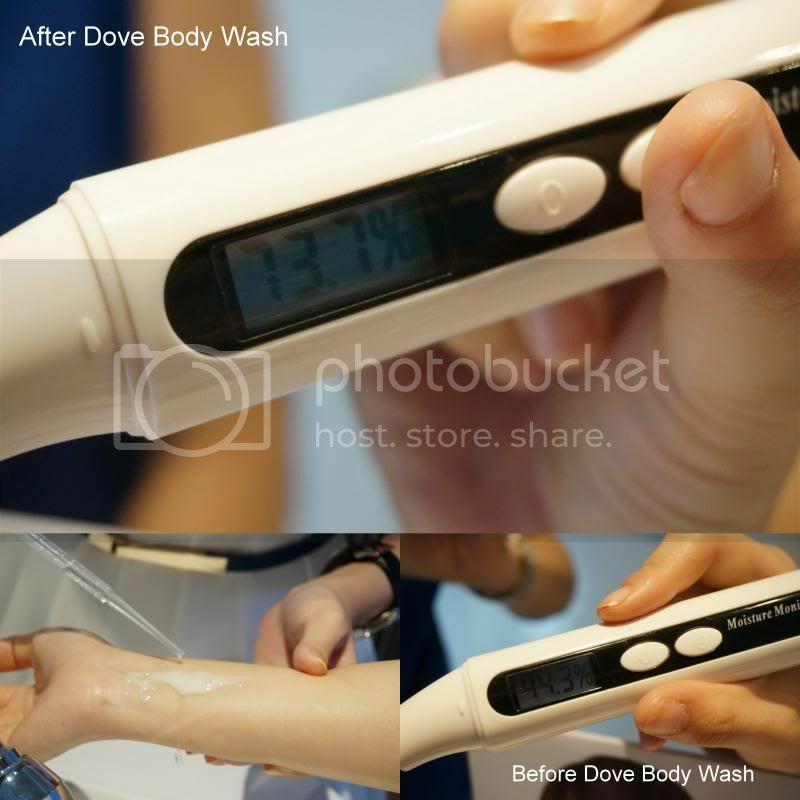 Skin moisture meter was placed on the skin that was already applied with milk or Dove® Body Wash with NutriumMoisture™ to check on the percentage moisture of the skin. 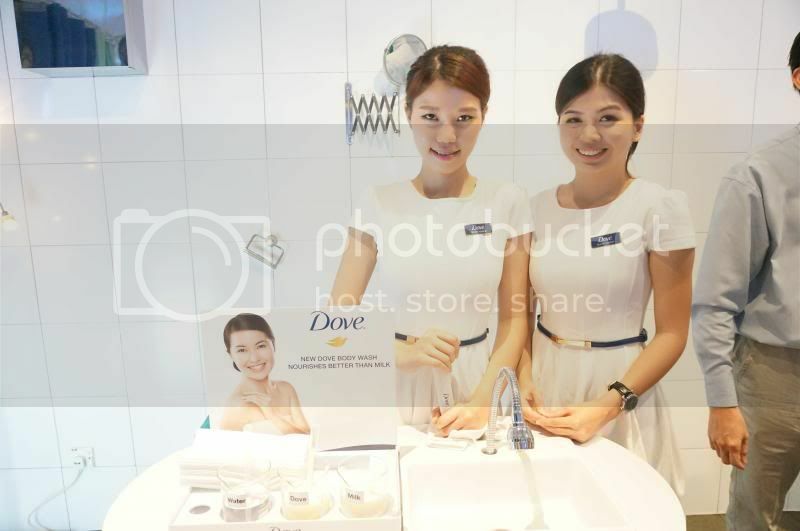 Based on the photo above, by using Dove® Body Wash with NutriumMoisture™, you can see that the percentage of Dove® Body Wash with NutriumMoisture™ gave is higher than milk by 20%. 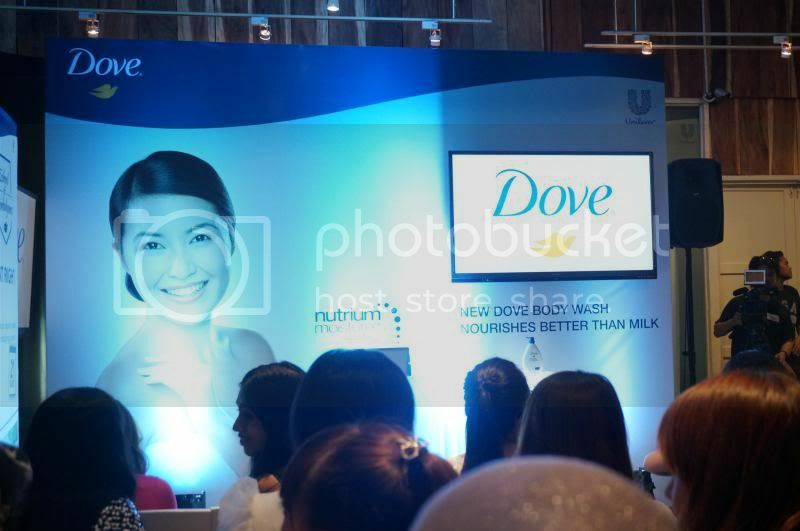 As you can see from above, Dove® Body Wash with NutriumMoisture™ is proven to be better than milk. The unique blend of moisturizing and nourishing ingredients replenishes nutrients back into the skin while shower. 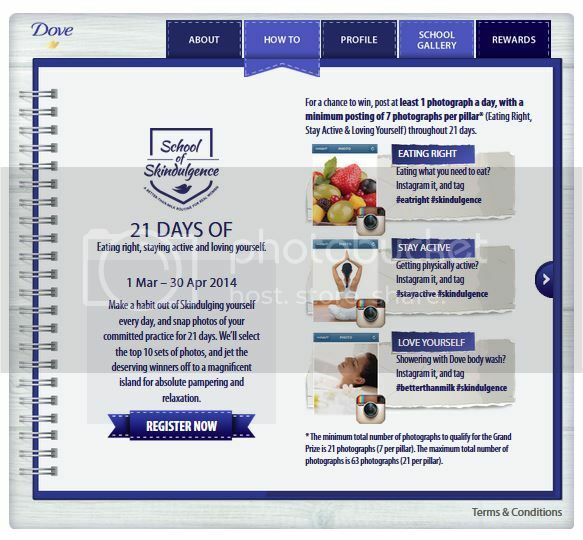 The Dove® School of Skindulgence Facebook campaign aimed at women to achieve three main pillars of Skindulgence - pamper yourself, eat right and stay active through simple no-hassle, no fuss, inexpensive activities that they can do at home for themselves. This is because research said that women who indulge their skin on a daily basis is too expensive especially spa. 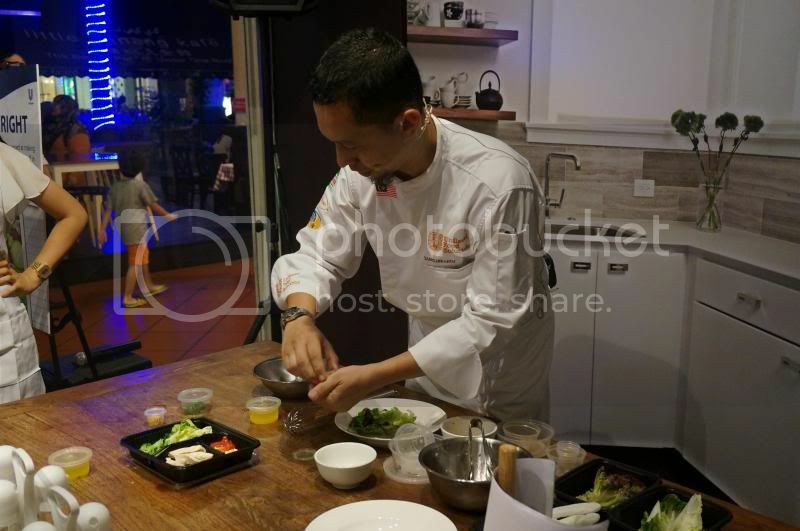 In the School of Skindulgence, we also learnt on how to toss and mix the soba and salad and the chefs were so kind to teach all of us. 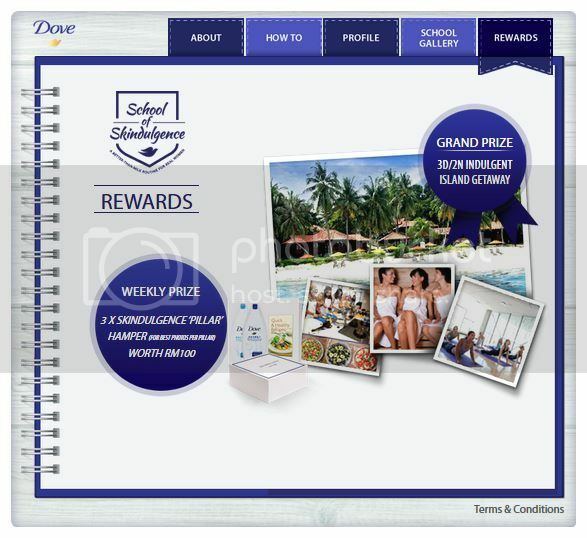 Women who are interested in joining the Dove® School of Skindulgence can log on to facebook.com/mydovebodywash to find out more. 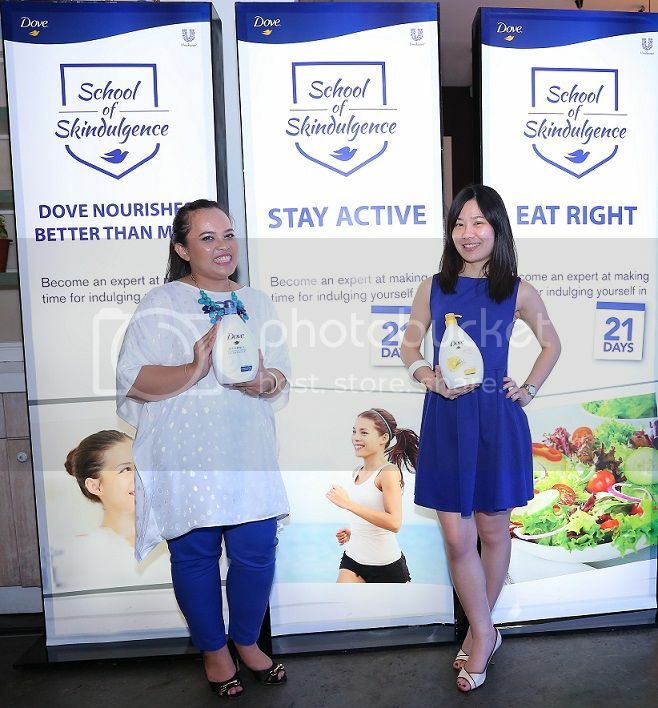 After taking the pledge on the Facebook app, contestants will over 21 days, challenge themselves to achieve the three main pillars of Skindulgence – love yourself, eat right and stay active. 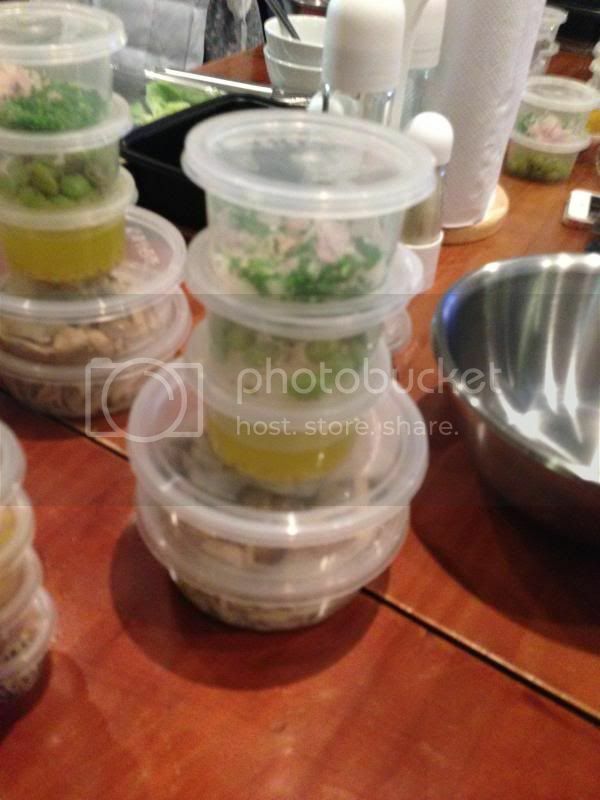 They have to share at least one photograph daily via Instagram hash-tags, (#skindulgence #betterthanmilk #eatright #stayactive) with a minimum total of 21 photographs (7 photographs per pillar) in the 21 days of how they take care of themselves at home. The challenge starts on 1 March 2014 and ends on 30 April 2014. 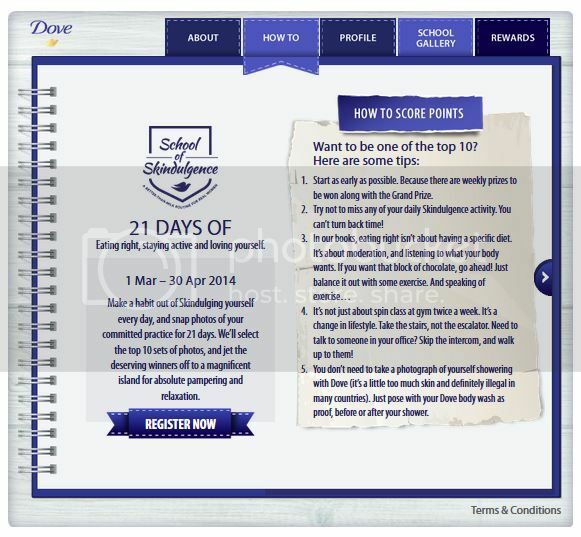 For eight weeks, 3 winners will be selected each week based on their creativity on each activity and they will each win RM100 worth of Dove Body Wash hamper. The 10 grand prize winners will have the memorable experience of a 3 day/2 night island getaway to Krabi! To those who have been following my Instagram, you should know that I have already started my pledge on 1st March. So what are you girls waiting for? 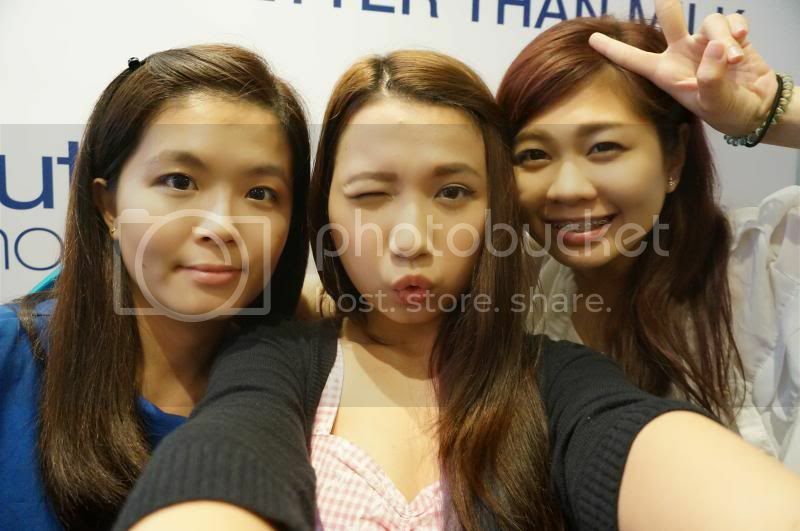 Don't miss this chance to win a trip to Krabi!